Like many fundraisers, I fell into fundraising randomly. I was offered a summer job at a local university where I discovered that I could earn a living by helping others support worthy causes. Unlike many of my fundraising colleagues, however, I knew that I wanted a career in philanthropy at an early age and landed my first full-time fundraising position when I was 21. This early, deliberate move into a high-demand and growing profession gave me an advantage; so did launching my career in a robust university advancement team of over 150 development professionals specialized in virtually every aspect of fundraising. Eager to stay ahead of the curve in an increasingly competitive, rapidly professionalizing sector, I tracked my professional, volunteer, and educational activities from the start so I could test for my CFRE as soon as I met all the requirements. I joined the Association of Fundraising Professionals (AFP), attended as many conferences, networking events, and brown bags as time allowed, and started a Graduate Certificate in Nonprofit Management (thanks to North Park University’s generous discount for AFP members). I have always been very type-A and (shamelessly) in pursuit of more credentials, which have been valuable when working with colleagues who may not always recognize fundraising as a career. Thus, it came as a disappointment when I began to realize that the certifications and degrees I have been working on are—while valuable—based on 19th and 20th century philanthropy, not the dynamic and rapidly changing philanthropy of today. We have the benefit of drawing on more than a hundred years of data and best practices, but at the same time, the textbooks, examinations, and recent proliferation of fundraising degrees are based overwhelmingly on what philanthropy was, not where it is headed or—at a more philosophical level—what it should be. Of course it is important to learn about the history of philanthropy, key figures, case studies, best practices, and shameful failures. But donors don’t want to fund yesterday’s issues using last century’s financial mechanisms; they want to address the next big challenge in a new way. In the US, growth in philanthropic giving has largely been stagnant or in decline since the 1990s and government funds worldwide have scaled back. Meanwhile, impacting investing and remittances are on the rise and the data- and metrics-driven giving strategies of the tech industry philanthropists are pushing nonprofits and fundraisers to show results faster and more quickly than before—including in some areas where, arguably, quantification is neither possible nor relevant. Even grantmaking is being challenged as “old fashioned” by the world’s oldest grant makers. It seems everything is on the table in an era of unparalleled challenge and unprecedented change. So how does a fundraising professional meet the needs of donors and remain competitive in a quickly changing and unpredictable philanthropic market? Study statistics to help populate metrics? Pursue an MBA or finance degree to advise impact investments? Go back to the ivory tower to contemplate the ethics of philanthropy? Perhaps my greatest and first error—and, in my defense, that of many young professionals—is in thinking that I can find a degree or certificate that qualifies me to help others make the most noble, personal, and spiritual decision of their lives: how to make a gift in support of a cause or institution that honors one’s self, or family, or the legacy of someone else. No matter what form it takes, philanthropy at its core remains a vehicle for self-realization, expression, and a joy in serving humanity. Fundraisers’ primary role is to serve the cause of philanthropy. I have come to believe that the way to become a better fundraiser is to be a better philanthropist. Give to your passions; experience what it feels like to be stewarded; see how metrics and data impact your gifts; invest in microfinance; take financial risks in hope of addressing those challenges that are worth risking it all for. No one can teach the art and science of philanthropy. You must be willing to be generous within your own means, to take risks with your giving, and to explore the joy and meaning derived from trying to make a difference. 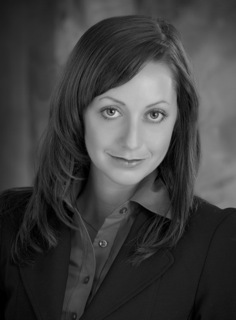 Jennifer Dellegrazio, CFRE is currently based in Chicago, Illinois. For the last eight years, she has worked on philanthropic partnerships with corporations and foundations for international NGOs and higher education. Jennifer has an MSc in Race, Ethnicity, & Post-Colonial Studies from the London School of Economics & Political Science and a BA in Philosophy and Politics from Lake Forest College in Lake Forest, Illinois.